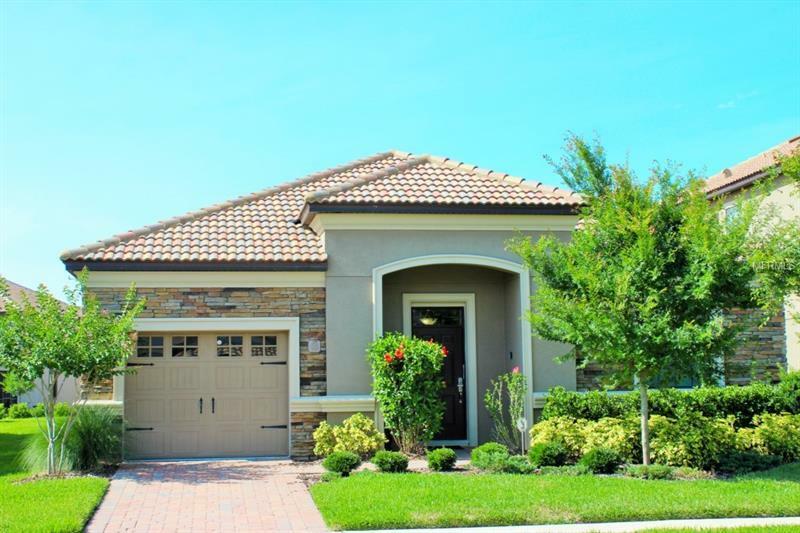 This property is located in the gated community of Champions Gate just minutes from Disney. This is a 4 bed 3 full bath home professionally decorated fully furnished to a very high standard and comes with a pool, hot tub with a game room. Upgraded STAINLESS STEEL appliances, GRANITE counter-tops and beautiful cabinetry.Â RelaxÂ in front of one of your many flat screen TV's throughout the home.Â Keep cool under the lanai or lounge out in the sun or take a dip in your own heated pool and spa.Â Your monthly HOA dues cover 24-hour monitored and gated security, cable television, internet access, yard maintenance, in home security monitoring, daily trash pickup and free use of the club house.Â You can use this property as a short term income property, second home or a residential home. This property has a very good rental history as a rental home for Disney guests and is loaded with bookings. Both the home owner and guests can also enjoy the free resort amenities including the water park in Champions Gate called the Oasis Club. The club house has a free gym, the water park has a lazy river, two pools, splash pad for the little ones and a slide and in the club house a movie theater, business center and a child care center and a game room. Pool side Tiki bar and indoor and out door restaurant, air conditioned cabanas and you have the Champion's Gate golf course all within the community. And last but not least, you are within minutes of Walt Disney World. Have your realtor show you this property as soon as you can.